* Merge several photos together adds transition between two pictures. * VideoFlick extracts every single frame from video, so you can capture the perfect shot from videos. * Crop the original video to the proper field you want. Now you can crop the video black side and make your favorite videos is too large to perfectly play on your iPod, iPad, PSP, MP3/MP4 player, Mobile Phone, etc. * Add watermark to your video to protect your copyright, add comments, timestamps and other your copyright. 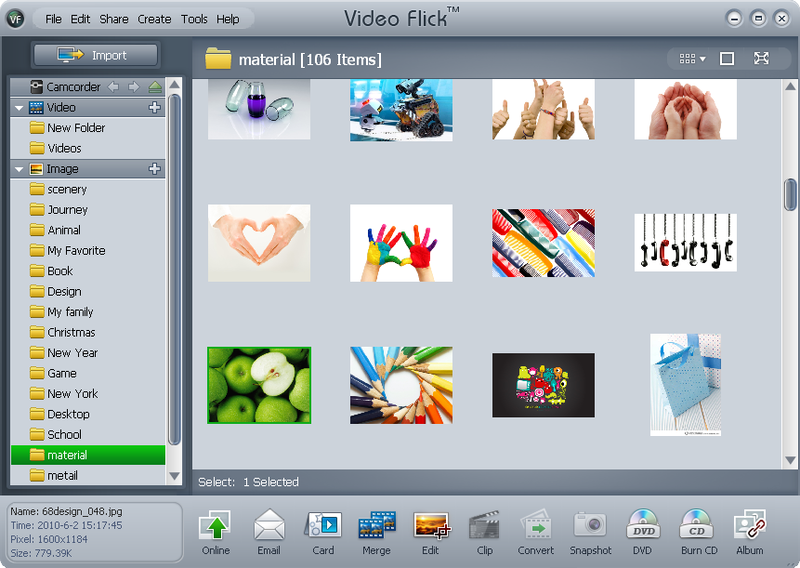 * VideoFlick allows you to merge several video clips together with your own personalized title and credits screen. * Clip your favorite sections of a video and merge them together at your own taste. * Decorate Your Video with A Greetingcard and send your holiday or birthday greetings in a video. BlazerBall is based on classics such as Arkanoid but now with four paddles! You must be amazed to find a super tool to convert all of your multimedia files. Qweas is providing links to Blaze VideoFlick 1.0.1.4 as a courtesy, and makes no representations regarding Blaze VideoFlick or any other applications or any information related thereto. Any questions, complaints or claims regarding this application Blaze VideoFlick 1.0.1.4 must be directed to the appropriate software vendor. You may click the publisher link of Blaze VideoFlick on the top of this page to get more details about the vendor.